Love London History? Join our Facebook group, Londonist Memory Machine. So began a beautiful — perhaps unlikely — friendship between one of the world's poshest department stores and Chicago-established convenience food company, Heinz. 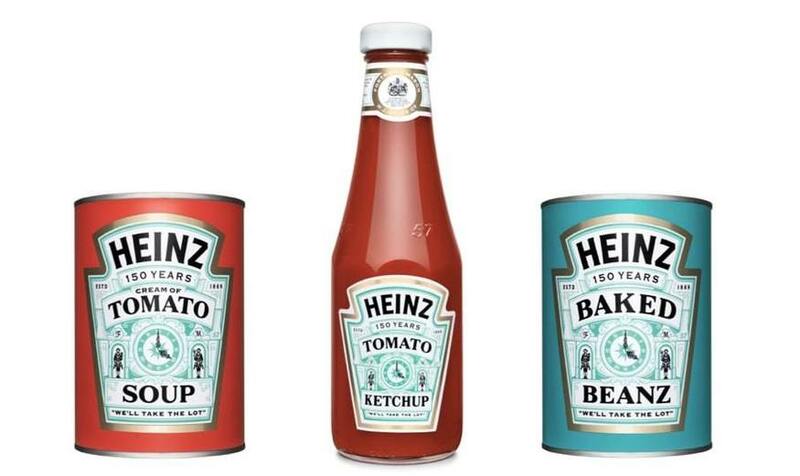 Fortnum and Mason has been peddling Heinz products since ordering its first batch of condiments in 1886. Now, to coincide with Heinz's 150th anniversary, a limited edition range of Fortnum-themed baked beans, tomato ketchup and cream of tomato soup, has been released — available to buy at the Piccadilly flagship. Labels feature the clock from the façade of said Piccadilly flagship — and, wow, that Eau de Nil colouring really matches nicely with the familiar hue of Heinz's baked beans label. Before you worry about being able to afford one of these saucy trinkets: prices range from £1.50-£1.95, which although not a bargain, is thriftier than dinner at the nearby Ritz. The limited edition cans and bottles are on sale at Fortnum and Mason — alongside other Heinz-themed merch — until 28 March. 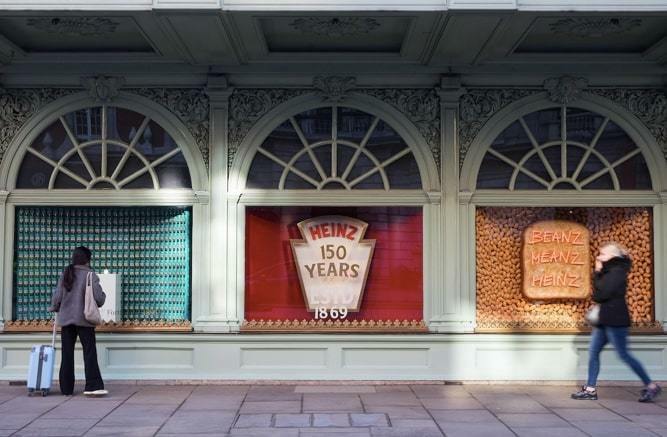 Fortnum also has a special Heinz window display, marking what is one of the greatest Anglo-American pacts of all time. 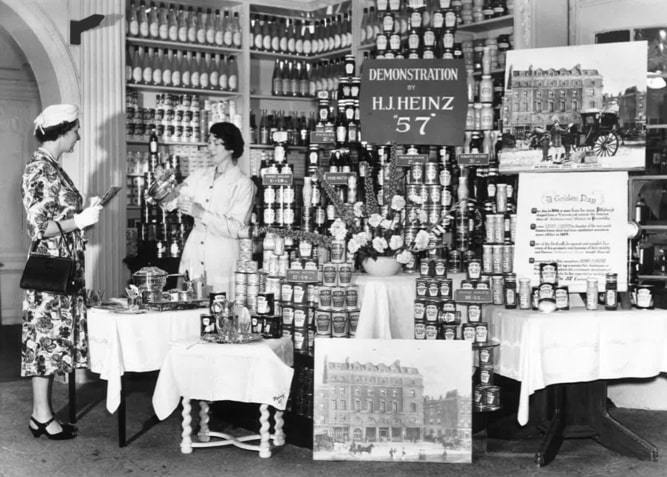 Fortum and Mason was the inaugural UK stockist of Heinz products, and in 1901, became the first store in the country to sell Heinz baked beans — a product that would go on to be made en masse in the UK, and poured out onto slices of toast, to create an inexplicably satisfying national comfort dish. Fortnum and Mason is also credited with the invention of the scotch egg, and can therefore claim to have fed innumerable single, lonely men in its time.